LED TV is a type of LCD television typically uses light to backlight the display instead of the cold cathode fluorescent lights (CCFL’s) used in standard LCD televisions. LED TV’s are sometimes technically termed as LED-Backlight LCD television. What is the embedded technology, which makes the LED TV quite popular in the consumer market which is preferred by both the entrepreneurs and the home user segments? What are OLED TV’s and what is the impact of OLED TV’s in the consumer market for varied reasons of clarity? LED TV and the OLED TV’s with all its accompaniments do come with an expensive price tag which normally becomes a concern for many entrepreneurs and the home user segments. Towards this endeavor, the LED TV Rental Dubai serves as a better alternative which could bridge the gap and become the perfect delivery module catering to both the segment. The LED has been abbreviated as the light emitting diode; LED in fact represents an electronic device which gets activated in the form of bright light when subjected to the electricity when it is passed through the diodes. The light which is used in diodes serves as a backlight system which actually bring about the appropriate brightness towards displaying the images which actually gets enticed by the potential audience when they notice it. LED TV rental has been a preferred gadget for entrepreneurs: The LED TV rental has been specifically chosen by the numerous customers across the landscapes as the backlighting in the LED TV have always enhanced the appropriate brightness in the LED TV which has always enticed a potential audience and further helping them to have a complete see-through of the product information with complete clarity. LED TV in the form of kiosks: The LED TV being deployed in the form of kiosks has always alerted a potential audience and further engaging them to become the potential customer in the long run. LED TV becomes the choice for home users: The LED TV has now been termed as HDTV’s (High Dimension Television’s), the HDTV as a technology has gained popularity among the home user segment as the numerous users are able to explore the home theatre experiences. The home theatre experiences always enchant a user with three different technical components viz. the sound system, the pixel quality and the appropriate amplification. OLED TV has been abbreviated as Organic Light Emitting Diodes and they are being deployed as a complete different technology as compared to their predecessors the LED TV. OLED TV has emerged in the consumer market with the implementation of the semiconductor material in LEDs. The OLED TV has been quite popular in the market as UHD or the Ultra High Definition with an embedded pixel range such as 3840 X 2160 pixel resolution. Technically the UHD is also termed as 4K display. The 4K display is the one which brings about at least 8 million active pixels and normally the 4K display in the TV’s generally consumes more bandwidth and power as compared to the LCD TV’s. 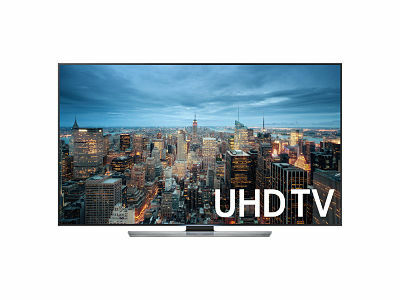 OLED TV’s with the embedded 4K component has been the most preferred gadget when it comes to the product video streaming using the fast broadband connectivity. In fact, most product companies explore the best possibility of live technical conferences and always be on the edge to make their products viral through these video streaming’s. VRS Technologies have been capitalizing on the high end models of LED TV’s and OLED TV’s and have been renting out these range of equipment to both the business entrepreneurs and also to the home user segment so that they can explore the possibilities of home theatre preferences. If you are an entrepreneur or a normal user who is keen to explore the varied functionalities of the LED TV and the OLED TV’s, please approach us at VRS Technologies and call us at 00971555182748.